One of the greatest threats from a blast is fragmentation. 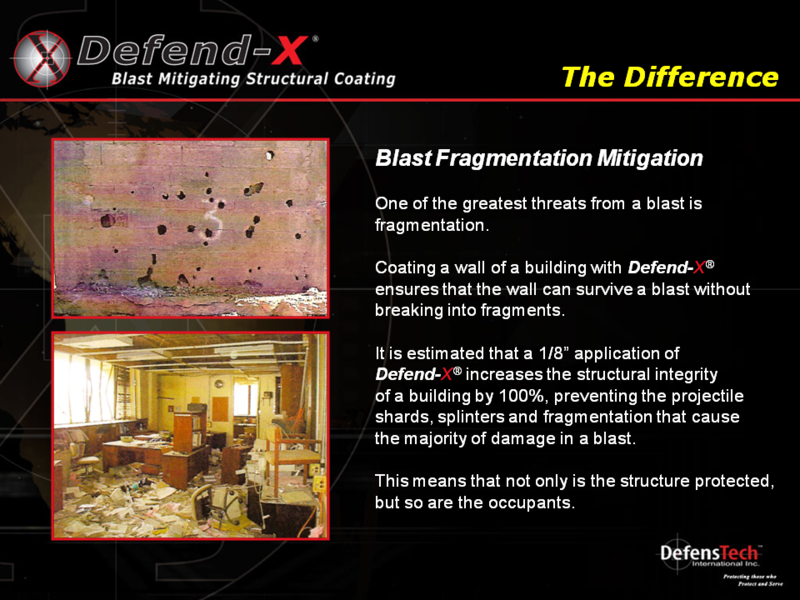 Coating a wall of a building with Defend-X® ensures that the wall can survive a blast without breaking into fragments. the majority of damage in a blast. This means that not only is the structure protected, but so are the occupants.